Provide comfort for the family of Christine Akers with a meaningful gesture of sympathy. Christine "Tina" Akers, age 71, of Killbuck, passed away peacefully on April 1st, 2019 at LifeCare Hospice in Wooster where she was surrounded by her family. Christine “Tina” Akers, age 71, passed away peacefully on April 1, 2019, surrounded by her family. Her husband of 37 years, Dewey (of McDowell, Ky.), preceded her in death. Carpenter, Steven (Joann) Carpenter and Colleen Carpenter, numerous nieces and nephews, and dear friends Karen Frazier and Gail Shaffer. The daughter of James and Anita Carpenter, whose families have deep roots in Holmes County going back to Hannah Butler, the first documented Caucasian child born in Holmes County, Tina was born on December 18, 1947 in Millersburg, OH, and raised in Killbuck, OH with her rowdy, but lovable, siblings, Linda, Rebecca, Steven, and Colleen. Adventurous in her travels (but, with her delicate Midwestern palate, not in her dining), Tina enjoyed traveling with her sister, Linda, visiting major cities throughout the U.S. An avid gardener, she collected ornamental grasses and unique Hostas, and loved flowers and wind spinners. She spent her final years enjoying the company of family and friends and her beloved pets. Witty and quick with a joke, Tina could be counted on to make us laugh through the good and bad. She will be sorely missed by her friends and family. Goodbye, our Tina, you will be remembered and loved forever. To send flowers in memory of Christine M. Akers (Carpenter), please visit our Heartfelt Sympathies Store. 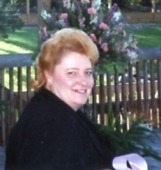 Provide comfort for the family of Christine M. Akers (Carpenter) by sending flowers. We became neighbors to Tina back in 2009. We became friends whenever weather permitted us to be out and about on our golf cart. When we would be on the road by her house, she would come out and talk. She was very friendly and we compared our health problems, as we both had numerous ones. She was always pleasant to talk to and she will be missed. She loved her dogs, that is one thing you found out about her. We had a black and white Pomeranian that rode the cart with us, so we had dogs in common too. She liked to mow her lawn. She told me that she cut it low, as to avoid snakes in her yard. She was always a joy to talk to and we enjoyed her. She will be missed! Rest in Peace, TIna ! This is from John and Sherry Snow! I always loved Tina's laughter. No matter where she was Tina always had a whole hearted passionate laughter that drew you in. I will always remember you Tina. Thank you for being a wonderful cousin and friend.